A newspaper journalist interviewed me this month about my writing and writing process. His first question started with, “So most writers are in a rush to see their name in print when they self-publish–” I laughed and said, “It’s been a thirty-year rush.” I explained that I’ve been learning about the craft and keeping up with the industry and writing lots of stories, articles and novels over the past thirty years; that I attend writers conferences, take classes, read books about writing; and that I’m a member of several writers groups and several critique groups. One critique group has been going on for over twelve years. I explained to the journalist that my book, THE TOWN THAT DISAPPEARED, took me four years to write with twenty-five rewrites or revisions, and that an editor from a traditional press told me that “everyone in the editorial group loves it and sees it as a series.” The rejection came after one bookseller in the acquisitions group convinced the rest that historical novels don’t make money. After a year of depression, and after the change in attitude towards self-publishing by professionals in the industry, only then did I decided to self-publish. I’ve been working on the sequel to THE TOWN THAT DISAPPEARED for the past two and a half years, but have basically given up on all my WIPs for the past three months in order to first, research self-publishing, and second, research marketing and promoting. Four years ago, I dipped my toe into the self-publishing world and published three retold folk tales. I also had traditional editors interested in these, but then came the recession of 2008. I’ve sold about six copies of these tales. Why so few? Because I merely published them and foolishly thought people would find the title through my interesting tags to spend the ninety-nine cents to buy them. Research. It’s not just about researching for your novel writing. With self-publishing, it’s vital to research promoting and marketing as well. I’m still a newbie at this process. But this I do know, and it’s the best advice I can give: do your research. 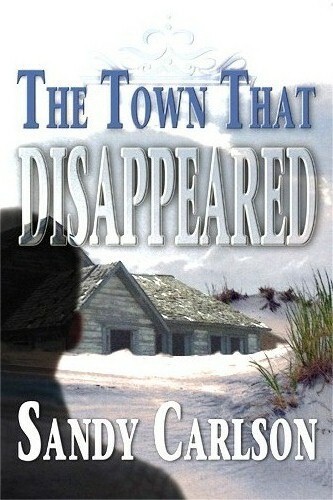 Looking forward to reading my copy of the Town that Disappeared. Thanks, Ann. And I STILL owe you a lunch.